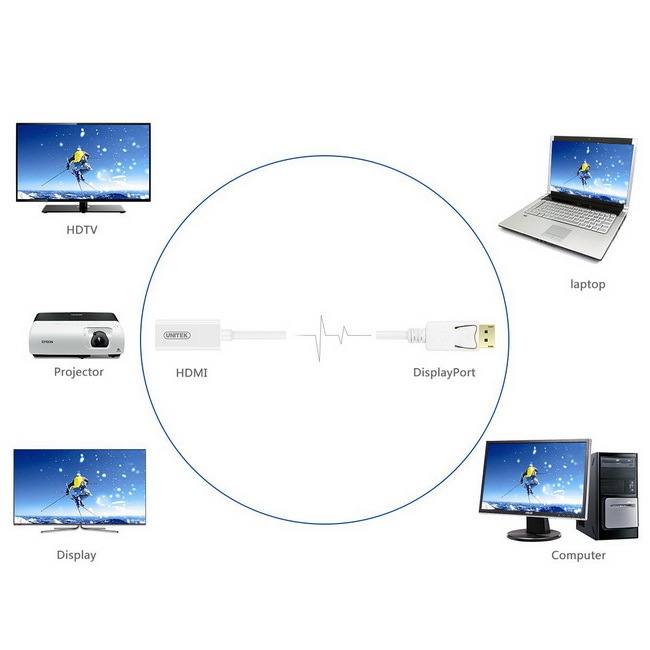 Cửa hàng bán Cáp DisplayPort to HDMI, Cáp chuyển DisplayPort ra HDMI, Cáp chuyển DisplayPort sang HDMI Unitek. Hỗ trợ độ phân giải 2k 4k. Hàng nhập chính hãng giá rẻ nhất. Hãy gọi ngay cho chúng tôi để được tư vấn, giao hàng miễn phí tận nơi nhanh nhất sau 30 phút đặt hàng. 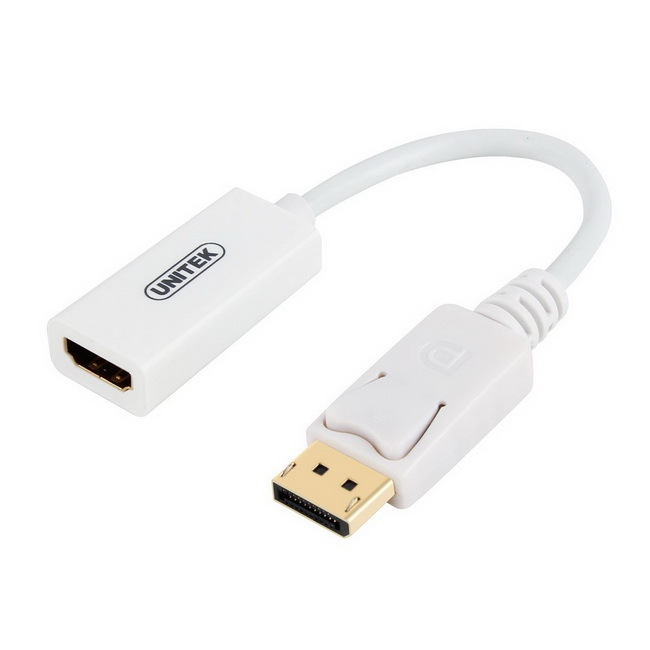 DisplayPort to HDMI Converter (Support 4K) is a converter which converts DisplayPort to HDMI, which enables you to connect any HDMI interface embedded devices (e.g. : monitor, projector etc.) 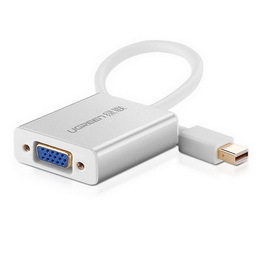 with a DisplayPort interface (e.g. : desktop computer, laptop, ultrabook etc.) 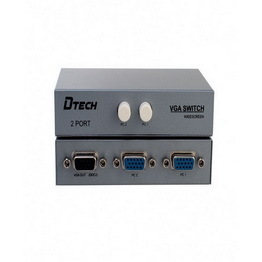 without the necessary to purchase a DisplayPort embedded terminal device. 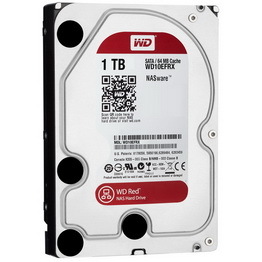 This converter supports 4K resolution - the next generation of clarity. With 4 times the resolution of Full HD, pictures have never been so crisp and every detail is sharp even on bigger display. It makes everything you watch a spectacular experience. And with a continuously growing range of 4K content, every frame will draw you in with beautifully riveting detail. 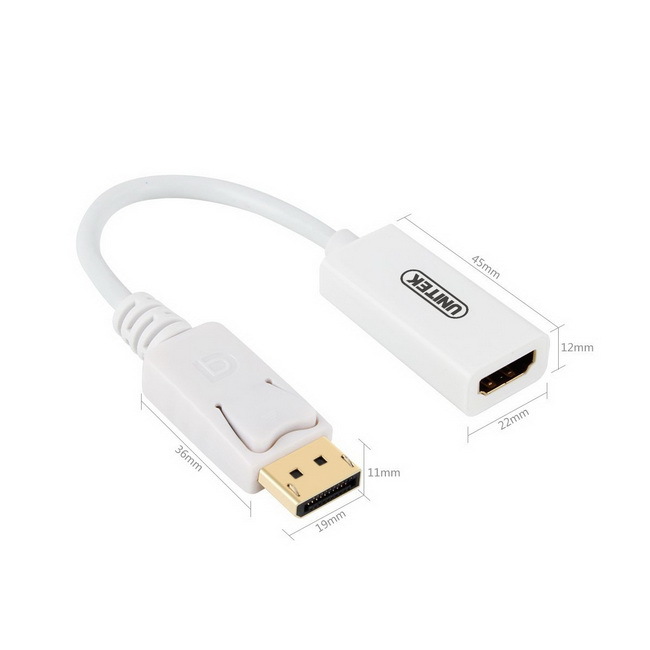 - Portable adapter connects a DisplayPort equipped laptop or desktop to an HDTV, monitor, or projector with HDMI input; An HDMI cable is required. - Support 4K resolution, 4 times the resolution of Full HD, HDTV resolutions of 4K (3840x2160) @30Hz, 4096x2160 @24Hz, 2560x1440 @60Hz. 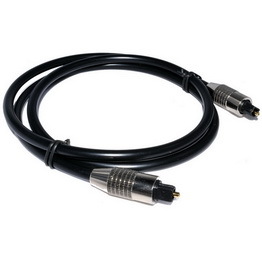 - With DP1.2 standard, HDMI1.4 specification. Plug and play, no DRIVER needed. 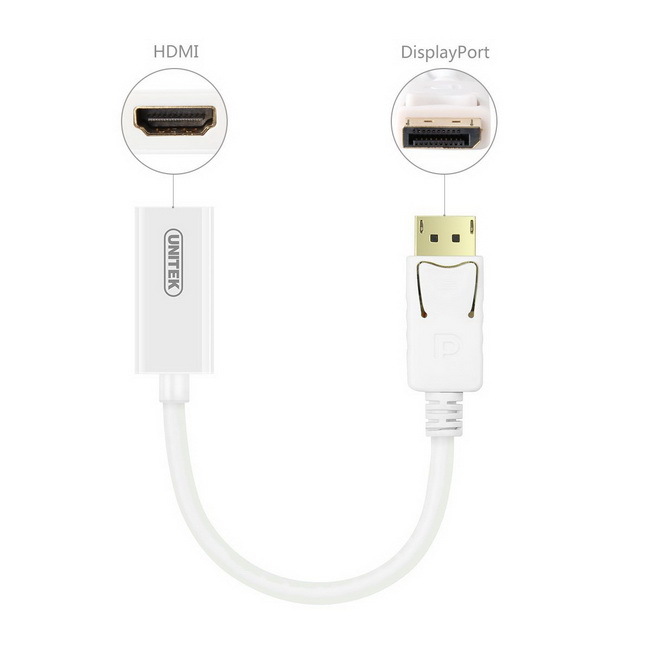 - A converter which enables you to convert DisplayPort to HDMI. 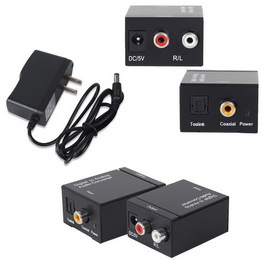 - Compatible with almost all of the displays, TVs, projectors and many more. 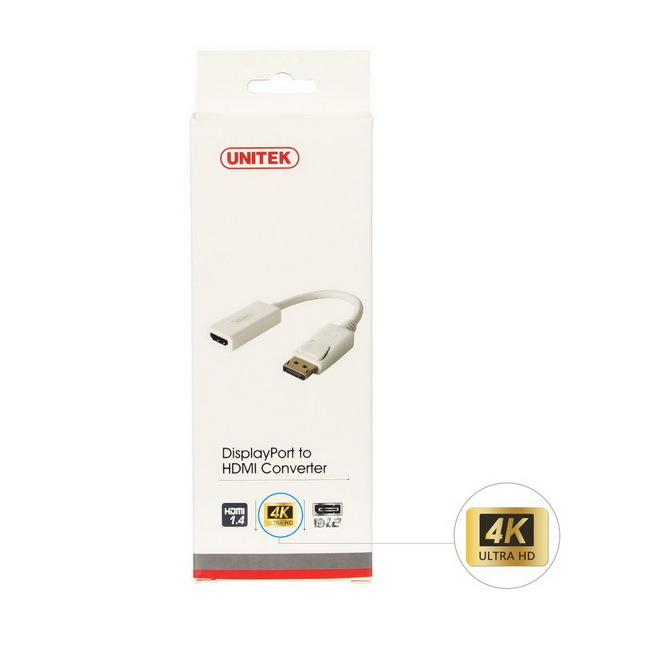 - Support 4K resolution, 4 times the resolution of Full HD. - The pictures on screen have never been crisp and every detail is sharp even on bigger display. - With DP1.2 standard, HDMI1.4 specification. 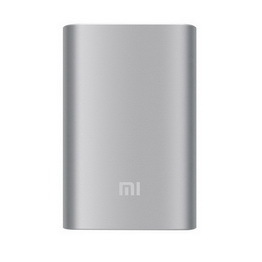 - Plug and play, no need to install driver, easy to use.